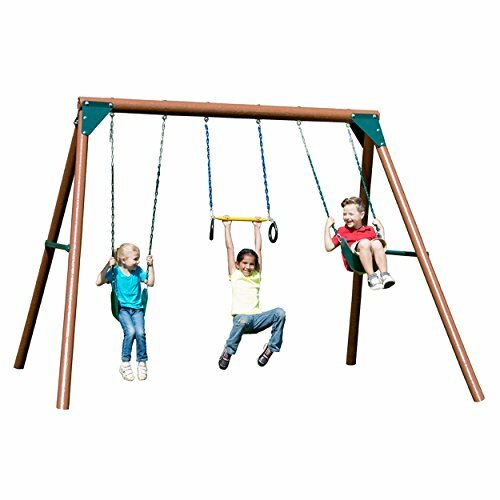 This 3-position swing set offers quality, affordability, and a maintenance-free play solution that's sturdier than metal. It comes complete with round wooden guard posts that have a five year warranty. Woodguard fully encapsulates wooden beams and protects from the elements. This kit includes 2 swing seats and a ring/trapeze combo as well as fully illustrated instructions.